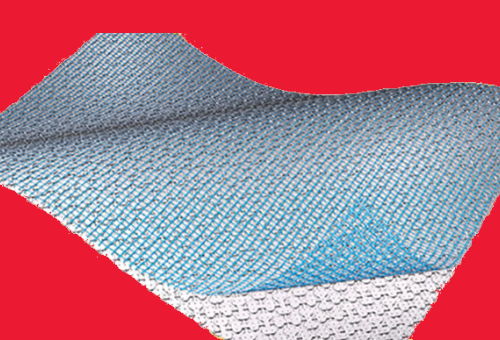 BAL – market-leaders in full tiling solutions – have launched two new uncoupling mat solutions for problem floors. David Wilson, UK Head of Technical at BAL said: “Because no adhesive is required, preparation of the substrate is reduced to a quick sweep of the floor. No removal or residue, no removal of laitance and no priming of the surface is needed. This means that contaminated and stained floors, wooden floors, cracked screeds and mixed substrates can be tiled immediately. “It can also be used direct onto difficult substrates such as bitumen, fresh sand:cement screeds or new anhydrite screeds that are not fully cured (up to 1.5% CM residual moisture). Lengthy waiting times on new screeds can be avoided with no more projects on hold while new screeds are dry enough to be tiled directly, or fixed with a traditional bonded system. Time trials indicate the removal of subfloor preparation for installations provides a circa 50% time saving. Because BAL Flexbone 2Easy is laid loose as a floating system, it is perfect for heritage projects where it is necessary to protect historic, sensitive substrates, plus areas where the ability to change the floor regularly is a requirement – e.g. rental properties. “As well as providing long-term benefits in terms of strength and flexibility, the unique bone structure also makes for significantly faster installations as the design ensures the trowelling-out of adhesive on the surface layer is fast and easy,” added David Wilson. “Fixer trials have shown that the unique bone-shaped cavities are much easier and faster to fill with adhesive than the conventional square or round cavities. BAL Flexbone VAried can be used anywhere – for a varied number of installation environments! Both mats are available in 20m rolls or easy to install 2x1m sheets (ideal for small bathrooms) or wetrooms – and are suitable for use with all tile types, including natural stone. 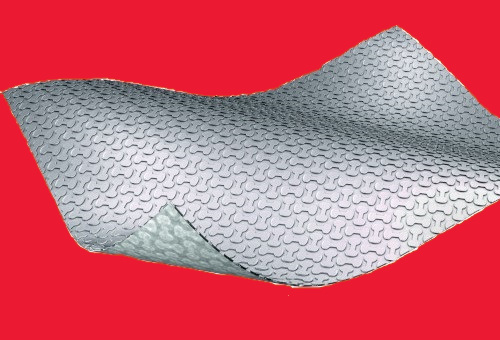 As with all BAL products, BAL Flexbone uncoupling mats come with the manufacturer’s unique 25-year guarantee – unlike other cavity mats available. When used with BAL adhesives, grouts, and sealants, this provides a fully guaranteed tiling system.